Easter is almost here my little champignons! The time when the treats are ours for the taking. Is the chocolate calling? 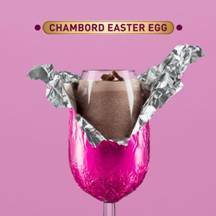 Try the delicious Chambord Easter Egg cocktail, to make the tonsils purr like the Easter rabbit. Simply follow this easy but magnifique recipe. Or tickle your tastebuds with some refreshing cocktail recipes to welcome in the spring. Clink Clink! Do not waste time making complicated drinks. This one is easy but noisy. Pour all of the ingredients into the blender. Whizzzzzzzzz, for 20 seconds. Et Voila! A raspberry Easter Egg treat. 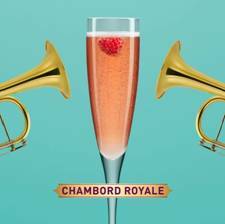 Your favourite fizz topped with delicious Chambord, for a taste so good it deserves its own fanfare. First, pour the fizz. Champagne, prosecco or cava as you like. Next ,top with Chambord to suit your tastebuds. Then garnish with the all important raspberry. If the tongue desires something fruity, try this classic cocktail. Take pineapple juice and shake, shake, shake it with Chambord and vodka and voila! 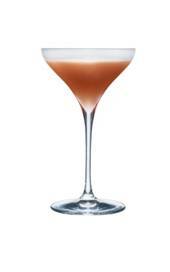 You have the French Martini. Take a shaker filled with ice. Add Chambord, vodka and pineapple juice. Shake with the vigour of a tambourine.